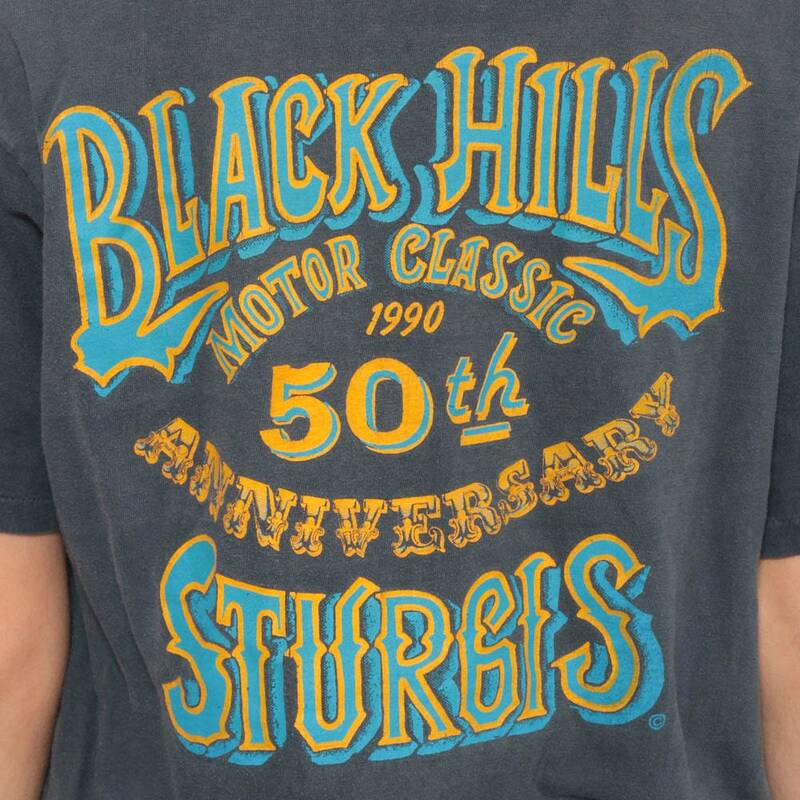 Vintage biker shirt from Sturgis Black Hills Bike Rally in 1990. Distressed. Unisex. 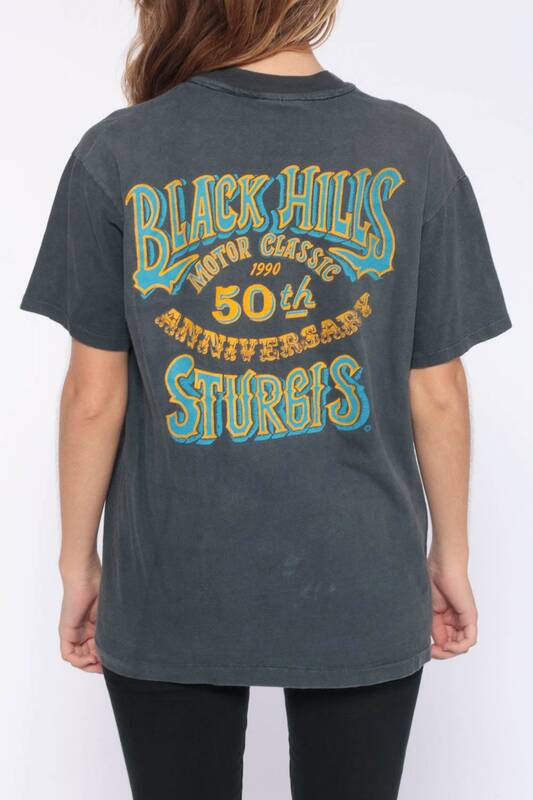 Condition: Distressed with fading, paint marks, some discolouration, and wear. A couple small holes on the right side by the hem. Best fits women’s: One size fits most up to extra large. Best fits men’s: Labelled Large 42-44.